Inside this issue, George Osborne’s’ summer budget revealed some interesting tax developments regarding investments, buy to let and more. On page ten we look at and discuss all the main points raised in the budget. On page seven, we explore how the chancellors plan to remove mortgage interest tax relief will effect landlords and property investors as well as the difference between buy to let and residential mortgages. 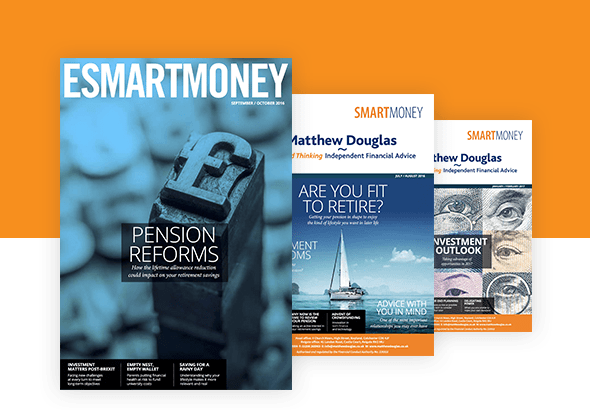 Drawdown has become an increasingly popular option since the new pension freedoms, therefore on page eight we look at 10 factors to consider when choosing this option for your retirement. The recent budget revealed some good news for pension investors. On page three, we explain how your pension contributions, may be eligible to receive the new increased tax relief available.